Detroit Fleat Food Truck Park & Boozery is Metro Detroit’s first and only food truck park. In our ‘Park’ we will spotlight 3 stationary food trucks as well as additional rotating trucks on select days of the week. In addition to the wonderful lineup of food trucks, our ‘Boozery’ will feature a full bar featuring 16 rotating taps, seasonal cocktails, and wine. Detroit Fleat also offers a street food inspired house menu. Our park is the perfect place for the whole family, including your furry friends! 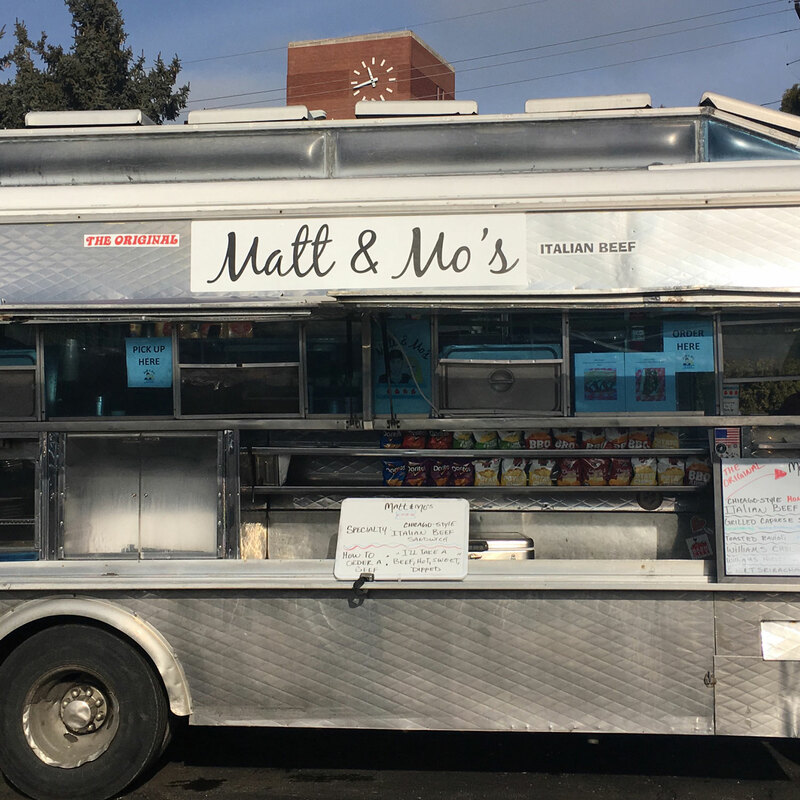 Detroit Fleat is the new home to some of Metro Detroit’s most popular food trucks. The food truck community is strong and we are very pleased to have Delectabowl, Pita Post, and Mac Shack on board. 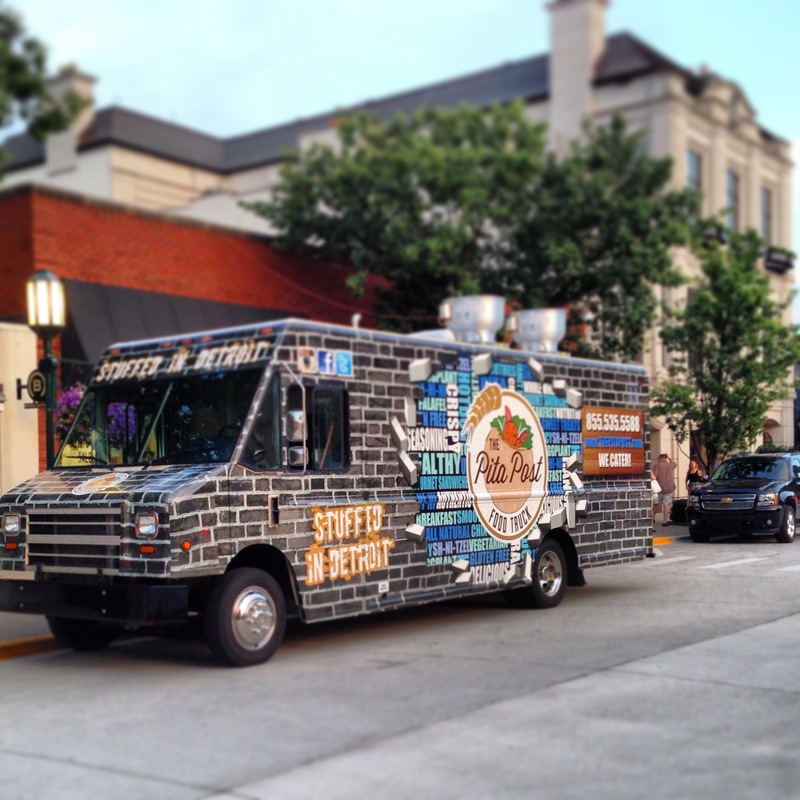 Check out our social media for updates on our rotating truck. 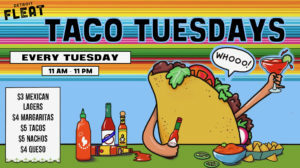 It’s a fiesta here at Detroit Fleat for Taco Truck Tuesdays! 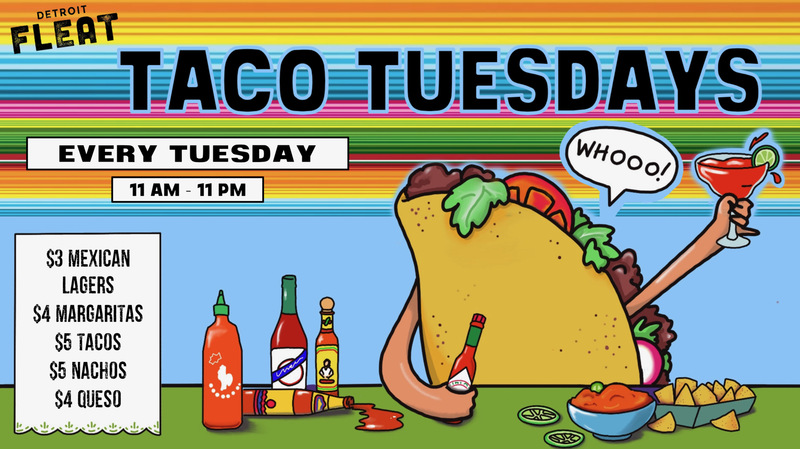 $5 for 2 tacos all day. $4 Queso and chips all day. $4 margaritas and $15 margarita pitchers! 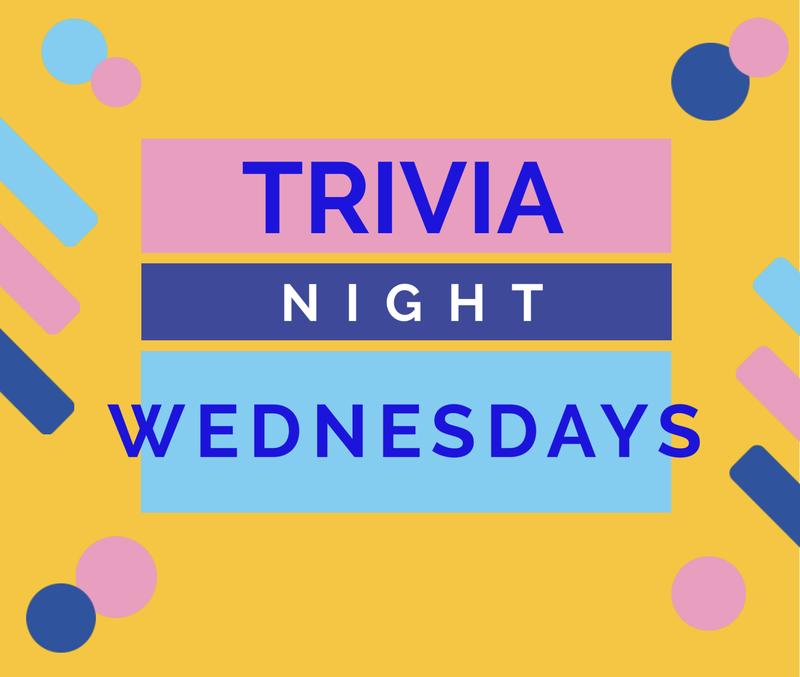 Join us every Wednesday for Sporcle Live Trivia! FREE to play and fun to win! The Boozery is ready for you and your crew to use your brain power! Reverse Happy Hour from9-10pm adds to the fun! The best way to spend your Wednesday is with Detroit Fleat! Join us for Live Music Fridays at Detroit Fleat! A showcase of local musicians of all genres, Live Music Fridays are a chance to kick back and discover some of the areas hottest new acts. Blues, funk, jazz, hip hop, folk….you name it, we’ve got it. Detroit Fleat is always looking for great local artists. Contact us for information! Every Sunday we bust out the most glorious Bloody Mary and Mimosa Bar you’ve ever laid eyes upon. Our unique and delicious brunch eats will make you happy and our Coffee Cocktails will get your day started right. 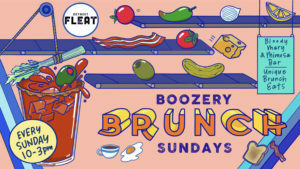 Gather you friends, put on your best stretchy pants and spend brunchtime with Detroit Fleat! 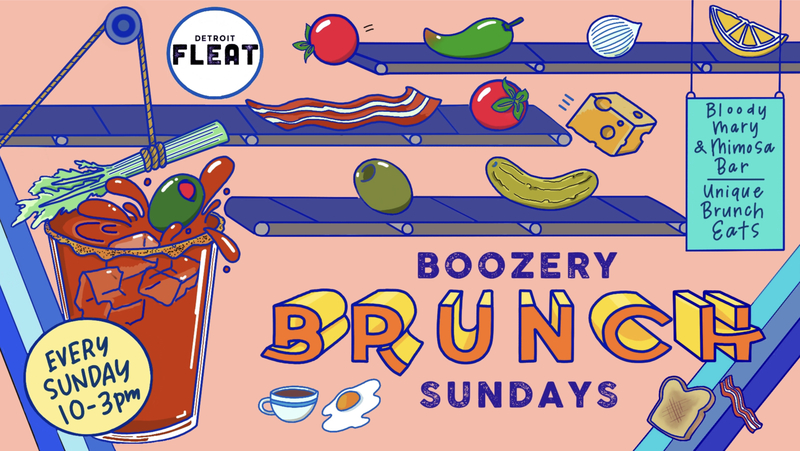 Boozery Brunch runs every Sunday from 10am-3pm. 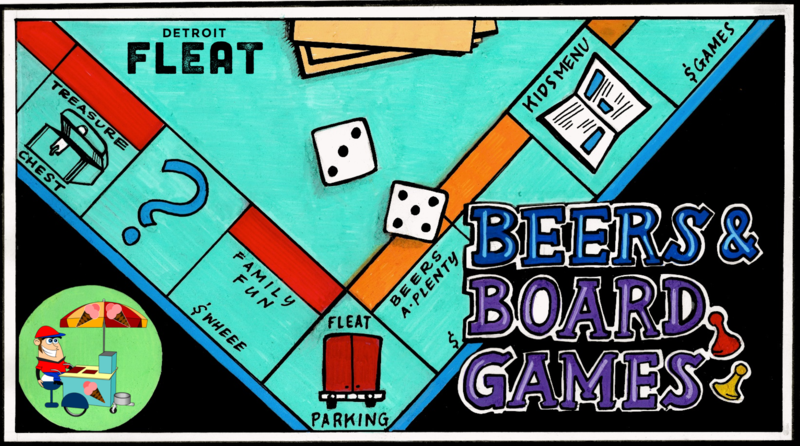 Beers & Board Games every Sunday! 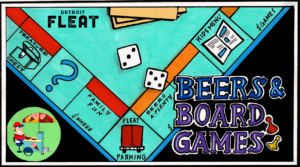 Want to host an event at Detroit Fleat? We can help you with all your event needs! 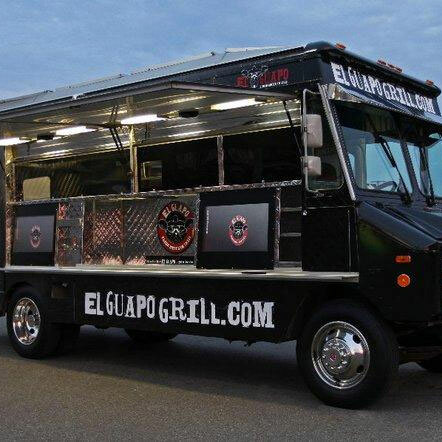 Have a food truck? Please complete the following form to apply to be part of Detroit FLEAT. Want to work at Detroit FLEAT? Fill out the employment application and we will contact you.